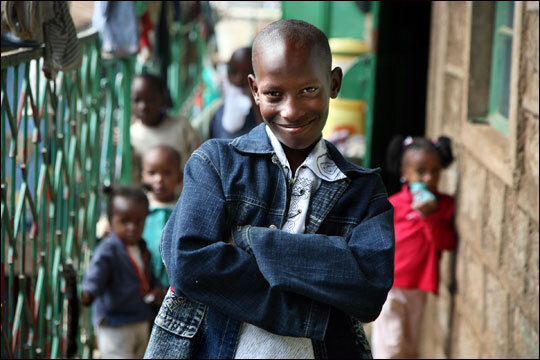 From NPR Kenyan Boy Tries to Live Up to a Presidential Name by Gwen Thompkins All Things Considered, April 24, 2008 click to read more and listen. Kenyan parents are no different from parents anywhere else in the world necessarily, but they do love to name their kids after headlines. There are John Kennedys and Winston Churchills and now even Kofi Annans being born. So when it came time for Karen Achieng Okumu to pick out a name for her third child, who she just knew would be a boy, she thought and thought. It was 1997, and this was an unexpected pregnancy for her and her husband. Okumu wanted a name with some miles on it — something road-worthy, like a good Buick — but she also wanted a name with a future. So, for those reasons and a few others, Okumu brought yet another child into this world called Bill Clinton. Well, Bill Clinton Okumu, to be more specific. And what does Bill Clinton Okumu want to be when he grows up? “I want to be president,” he says. What’s in a Name? This entry was posted on April 24, 2008 at 10:59 pm and is filed under Uncategorized. You can follow any responses to this entry through the RSS 2.0 feed. You can leave a response, or trackback from your own site.